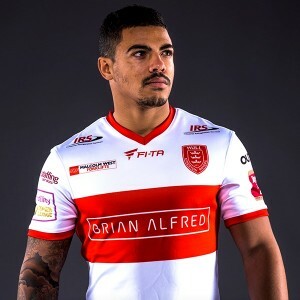 Rugby league team Hull Kingston Rovers unveiled their brand new home kit this week, showcasing Brian Alfred as the main Hull KR shirt sponsor for 2016. Keep an eye out for our brand new logo on the front of the home and away shirts next season, as well the club’s training wear. It’s a really exciting time for Hull Kingston Rovers as they celebrate their 10th season in Super League following their run to the Challenge Cup Final at Wembley in August so we’re thrilled to have come on board. We know that the partnership with Hull KR is the perfect fit for all you builders out there. With that in mind, we’ve got some really exciting stuff planned over the next few months so stay tuned. It’s been a busy few months for Brian Alfred with our new brand and revamped website. Be sure to follow us on Facebook and Twitter to make sure you’re not missing out on any special announcements.